V-Trail replaces Spyridon as the super grippy, mud-running, adventuring racer shoe! The V-Trail is the perfect technical trail runner for the adventure racer you know. This is our evolution of the very successful Spyridon MR / Elite product line featuring maximum grip and a hard wearing construction designed for the rugged outdoor trail environment. Vibram 3D Cocoon technology molded into the sole provides rock-stopping protection, now extended further into the ball area. The multi-directional lug design affords all over grip. 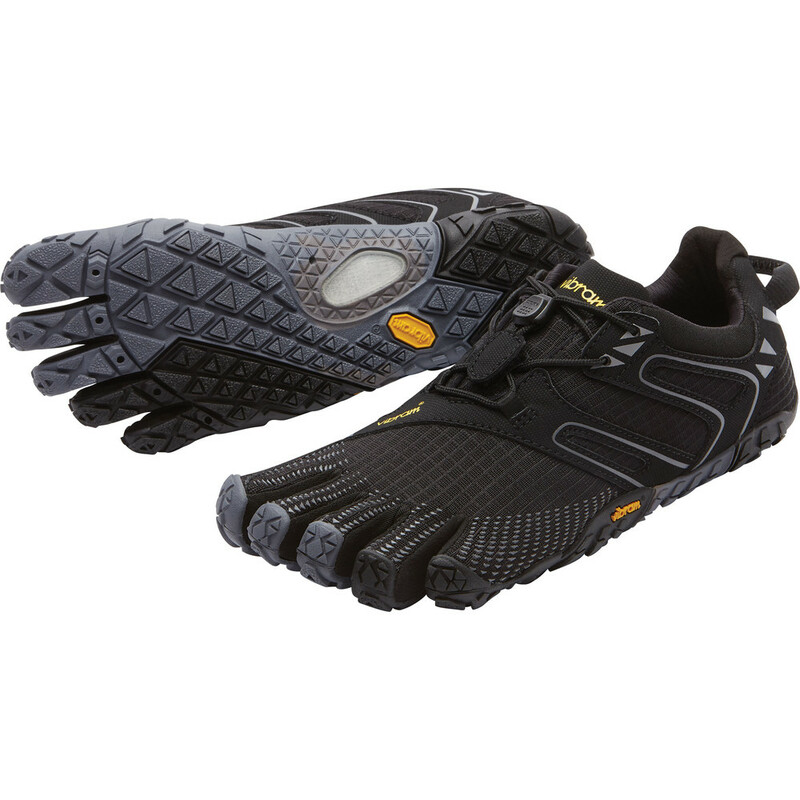 Vibram® MegaGrip Multi-directional lug design for grip all over! Weight: M43 = 6.4 oz. /182 g. Sole Spec: Insole: 2mm EVA + NZYM Anti-Microbial Poly Fabric Sockliner Midsole: N/A Rubber: 2-color 5MM + 3D Cocoon Mesh. Upper Material: Polyester + Spandex. Machine Wash Cold / Air Dry.